Michael Flynn’s guilty plea caused a reversal in the market, but it rebounded shortly. Dow Jones Industrials last week leaped as the U.S. Senate passed the tax bill that President Donald Trump’s administration has been pushing. We may warn investors about the risks in the markets, but we can’t make them take action to do something about it. We recall back in late 1999/early 2000 receiving calls from people wanting to open up a brokerage account so that they could buy some tech or dot.com stock. 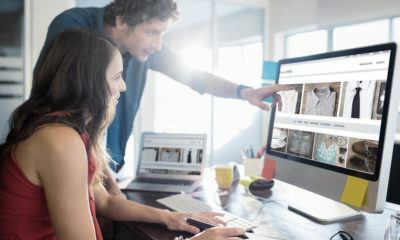 We politely told them that to open an account would require we meet with the prospect, learn their investment goals, fill out papers, and await approval from the compliance department. The process could take more than a few days. By that time, the stock they were targeting could be up a further 10%, 20%, or even more. Things were moving that fast. From lows in October 1998, the tech-heavy NASDAQ index soared almost 260% to its high in March 2000. The price-earnings ratio (P/E) of the NASDAQ soared to an unheard-of (and never heard of again) 175 while some individual companies had P/Es over 400. 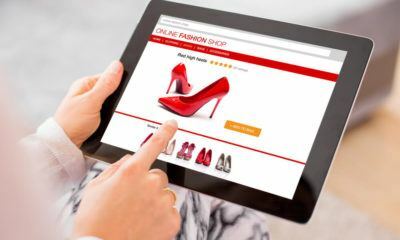 The fact that the companies did not make any money was not an issue as the focus was on their long-term potential and growth. Warnings that the market was in an unsustainable bubble and that a potential crash could follow were largely ignored. Those communicating the warnings were dismissed as doomsayers, charlatans, or worse. Some received death threats. Two years, later by October 2002, the NASDAQ had fallen 78%. The bubble had burst. Fast forward five years later. The Dow Jones Industrials (DJI) had soared to new all-time highs gaining 98% from October 2002 to October 2007. The NASDAQ had gained 158% in the same period but was still down 45% from the March 2000 high. But the real focus was on the hot housing market where prices had more than doubled since 2000 and where some regions saw even more spectacular growth. 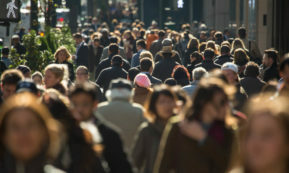 The growth had been spurred by the loosening of credit encouraged by government action, particularly through what was known as the Community Reinvestment Act and government agencies such as Fannie Mae and Freddie Mac. The result was the massive growth of the sub-prime mortgages and securitization of debt markets. Household mortgage debt had soared 76% in the space of five years. Consumer credit debt jumped a more modest 31%. Once again, warnings went out that the growth was unsustainable and debt collapse, particularly in the high-risk sub-prime mortgage market that had grown to over $1 trillion in size, could cause a financial collapse. On June 15, 2007, brokerage firm Bear Stearns announced they had suffered large losses on subprime mortgage funds. Within a year, the venerable 84-year-old Wall Street firm had collapsed and was taken over by J.P. Morgan Chase. But the real shocker was the collapse of Lehman Brothers on September 15, 2008, a firm founded in 1850, when the weight of subprime mortgages and other structured finance assets forced the firm into the largest bankruptcy in U.S. history. The financial crisis quickly spread around the world with the collapse of banks and other financial institutions. The Federal Reserve and other central banks were forced to act with massive taxpayer-funded bailouts, the lowering of interest rates to zero, and eventually a massive program of quantitative easing (QE). By March 2009, the DJI had fallen 54% from its October 2007 high as global stock markets wiped out trillions in investor value. The housing bubble had burst. We are now over eight and half years from the financial crisis of 2008 and seventeen years from the high of the tech/dot.com collapse. Years of QE, massive monetary growth, extremely low and even negative interest rates, coupled with massive loan growth have seen the explosion of an unprecedented bubble in just about everything. If a problem can be solved by creating new money and buying assets, then central banks will solve the problem. The bubble seemed to show at its most extreme (and some say obscene) size with the $450 million auction sale of the “Salvator Mundi,” a painting by Leonardo da Vinci. But the bubble has not stopped with just paintings. Stock markets globally have soared to new all-time highs, bond prices have rallied as well to all-time highs (even as they have since backed off) as interest rate yields plunged to not only multi-decade lows but multi-century lows, spreads between top credits and junk bonds have narrowed to dangerous levels, housing prices have recovered and are back where they were and higher than 2006. And then there is the latest manifestation of a possible bubble in Bitcoin and cryptocurrencies. The bubble has not just occurred in the U.S., but it has manifested itself just about everywhere around the globe. They are calling it the “everything bubble.” There seems to be no control or limits on how much money can be created. Nor do there seem to be any limits as to how high asset prices can soar. Some even believe it can continue forever. On November 30, 2017, the Dow Jones Industrials (DJI) leaped by over 300 points on the expectation that the White House administration’s tax bill might pass the Senate. This came despite doubts and concerns that the tax bill could create in excess of $1 trillion in deficits over the next several years. Some have said the deficit could actually be closer to $2 trillion. The Senate passed the bill, giving President Trump a major victory. It still has to be reconciled with Congress’s version. 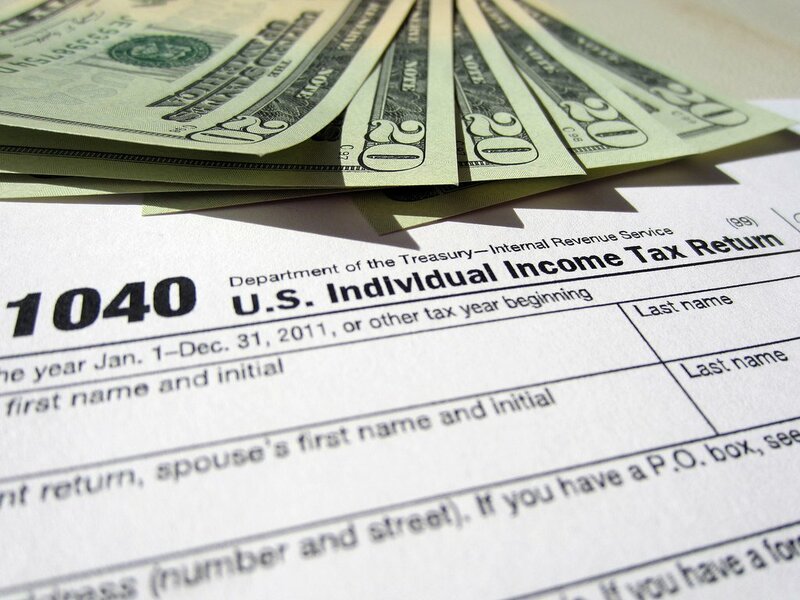 Major tax cuts for corporations would, many believe, most likely result in increased dividends, further leveraged buyouts, and speculation rather than investment in plant and equipment and, ultimately, jobs. 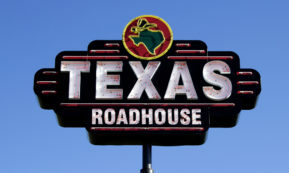 This is the prime reason it has helped ignite the stock market. The leap by the DJI was interesting in that the DJI overthrew a trendline. Overthrows usually occur at the end of a cycle, not at the beginning. However, the next day on December 1, 2017, the news broke that Michael Flynn the retired U.S. Army Lieutenant General, former director of the Defense Intelligence Agency in the Obama administration, and, briefly, the National Security Advisor for the Trump administration had pleaded guilty to lying to the FBI. It sparked a reversal in markets. But the market rebounded, seemingly on the belief that the crisis could be limited to just Michael Flynn and the focus shifted back to the passage of the tax bill. There is the potential for the Russian investigation to probe deep into the Trump administration, including the President, which could result in a political and a constitutional crisis. That could spark a panic in markets. 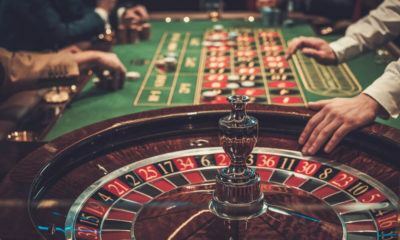 Looking back at history, the breaking of the Watergate scandal that led to the resignation of President Nixon became one of the major reasons for the 1973–1974 bear market that saw the DJI lose over 45%. If there is one lesson learned about the past 8/9 years it is all one has to do is throw money at the problem and it just might go away. It doesn’t matter whether it is central bank money or debt. The problem is solved by creating money and buying assets. Some call it “helicopter money.” A reminder, however, that in the next financial crisis instead of bailouts it will be bail-ins—meaning the depositor’s money will be at risk. A growing political crisis is just one item that might spark a market panic. The U.S. has become two divided and polarized camps. Supporters of President Trump have threatened a civil war if Trump were to be impeached because of the Russian investigation. Clashes take place on the street between the warring sides. In the US, police are heavily armed and resemble military units more than police. A reminder that the U.S. is one of the most heavily armed nations in the world with well in excess of 300 million guns. We are also at historic levels of wealth-income inequality that could spark social disorder. Polarized camps and strong differences in Britain over Brexit and the divide currently being seen in Germany are another potential political crisis that could spark panic in markets. The world is awash in debt. We have often noted global debt has grown by almost $100 trillion since the financial crisis of 2008. The most prolific growth was seen in China and it is not surprising that the Chinese banking system is severely strained. In North America (Canada/U.S.) household debt has reached unheard-of proportions. With over $1 trillion in auto loans in the U.S., much of it sub-prime (not unlike the housing market of 2007), it is not surprising that auto sales have been sliding and delinquencies have been rising. Student debt, particularly in the U.S., is also a growing problem. In Canada, the high level of household debt has been an ongoing focus of the Bank of Canada. Geopolitical risk is also a potential spark for stock market panics. There is growing tension in the Mid-East (a constant over the decades) with ongoing attacks by Israel against Iran and Hezbollah (Lebanon) in Syria. What if they retaliate? Numerous threats have been leveled against Iran by Saudi Arabia, Israel and the U.S. An outbreak of war in the Mid-East could lead to not only a market panic but a spike in oil prices that could plunge the Western economies into a recession. Other geopolitical threats are North Korea and ongoing tensions between the U.S. and Russia and the U.S. and China. Remember, the outbreak of war 1914–1918 and 1939–1945 gave rise to a series of bear markets. It would, no doubt, be the same today. To paraphrase our opening remarks we can point out the risks that abound and tell everyone that the current bull market is long in the tooth, but we can`t get investors to take action to take protective action. We could be at some historic crossroads. What a wild ride! 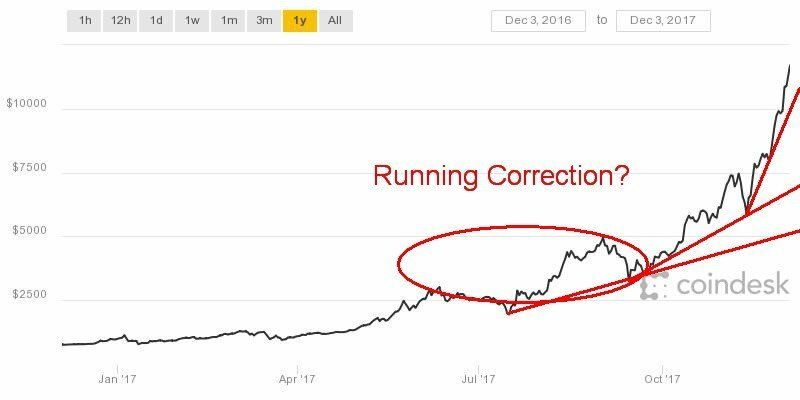 After hitting an unbelievable (well, maybe not so much anymore) high of $11,377 on November 29, 2017, Bitcoin reversed and by the next day hit a low of $9,021 a drop of $2,356 or just over 20%. 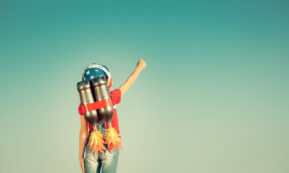 Bitcoin has subsequently recovered and is not only back over $10,000 once again but has now soared right through $11,000 and was last seen at $11,800. This is nothing short of remarkable and disturbing. It leaves us speechless. The reason given for the massive volatility was there were outages on Bitcoin exchanges because of the huge volume. Another factor was the CFTC effectively approving Bitcoin futures and options for the CME and the CBOE. Bitcoin futures are slated to start trading on December 18. 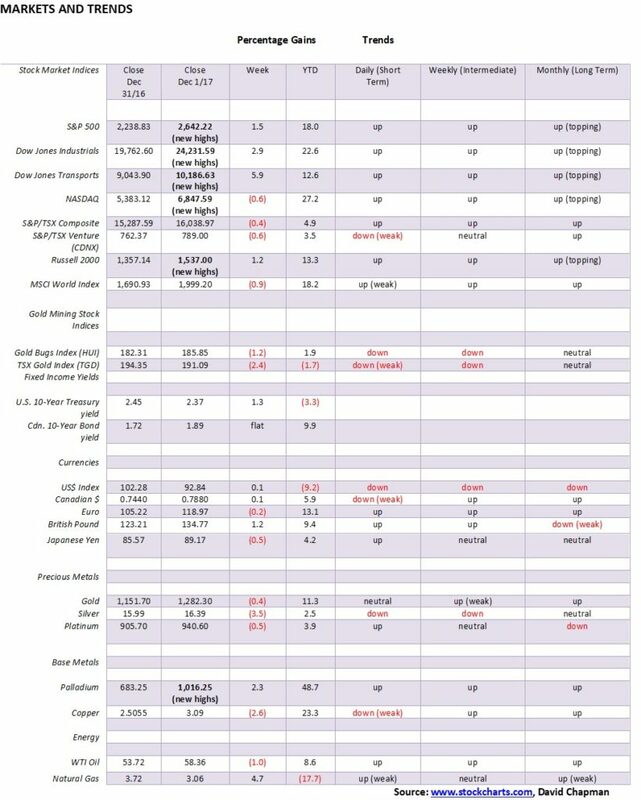 There is considerable volume coming out of Asia, Japan, and Korea in particular. There is no doubt that as the price of Bitcoin has soared it has attracted more and more players. Given the actual supply of Bitcoins is limited a massive rush into (and out of) the cryptocurrency can spark wild price swings. The question begs, however—is this a real currency along the lines of the US$ or Euros or is this a massive speculation? In some respects, we could say the rise in the price of Bitcoin reflects a huge collapse by the US$ and other fiat currencies against Bitcoin and the cryptocurrencies. While many more, including institutions, appear to be getting into Bitcoin and cryptocurrencies the reality is that governments through the central banks, agencies such as FINTRAC here in Canada, and tax departments are looking hard at it. Their ultimate aim will be to get control of it. Many believe they cannot. 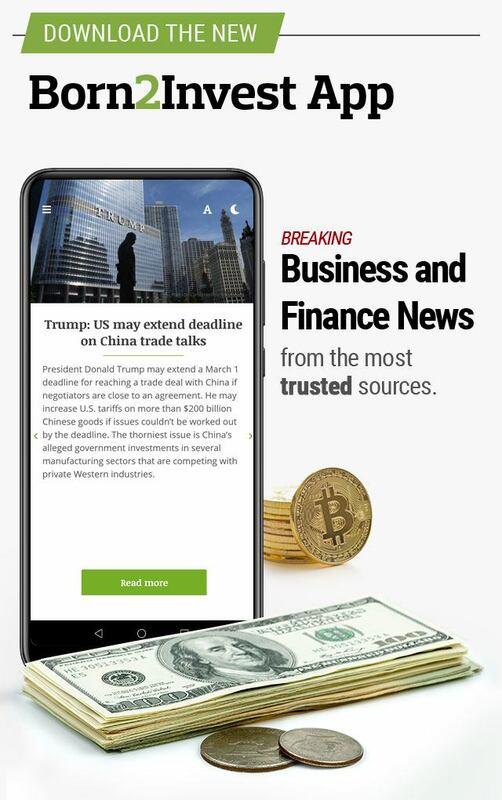 As has been noted about Bitcoin and cryptocurrencies, they are open to money laundering, tax evasion, and scams. Hacking is also a concern although there is no evidence that Bitcoin hacking has taken place. There are those who believe the governments and the central banks can’t stop them and Bitcoin and the cryptocurrencies are beyond control. Naturally, that remains to be seen. But the volatility is beyond belief and that alone is going to keep many people on the sidelines. While there are those who will accept Bitcoin for payment it is still not widely used or accepted. People are not paid in Bitcoins that we are aware of. Bitcoin broke out of its channel and now appears to be going parabolic. Cries for Bitcoin $50,000 are becoming normal. Yet if we were to say “Gold is going to soar to $10,000” gales of laughter would no doubt follow. While only a couple of days have passed since hitting over $11,000 Bitcoin needs to be making new highs soon if the move is to continue. The most recent target for Bitcoin was for a move to $11,650. Well, we are now through that lofty level. Given the recent low near $9,000 that zone should now become support. A breakdown under that level could suggest further declines. Expect the wild ride to continue. With Bitcoin breaking above $11,650 the next target could be $14,850 although returning back under $11,000 could suggest a false breakout. But the question remains: is this something that will eventually replace currencies or is this just a wild speculation that has now gone parabolic and will eventually burn itself out? Note: For an explanation of the trends, see the glossary at the end of this article. New highs/lows refer to new 52-week highs/lows. Passage of the tax bill helped push the market to new heights this past week. A reminder, however, that the Senate version passed must be reconciled with Congress’s version. Still, this is considered a major win for Trump. Breaking news of former National Security Advisor Michael Flynn cooperating with the Mueller Russian investigation and admitting to lying to the FBI helped steady the market on Friday. By week’s end, despite the implications of the Flynn admission, coupled with evidence that he could implicate President Donald Trump’s son-in-law Jared Kushner and even Vice President Michael Pence, the market preferred the good news story of the passage of the tax bill. Not only did the S&P 500 make new highs, leading the way was the Dow Jones Industrials (DJI). Confirming the new highs, the Dow Jones Transportations (DJT) leaped 5.9% and made new all-time highs. The NASDAQ made new all-time highs early in the week, then reversed and closed lower by week’s end. Not everyone joined the party. Failing to make new highs were the Dow Jones Utilities (DJU) and the small-cap AMEX Exchange. But elsewhere, every index saw new highs: large cap, small cap, and mid-cap. Foreign Exchanges did not join the party. The TSX Composite remains below its recent highs. The MSCI World Index made its all-time high a week earlier. An exception this past week was the Singapore Straits Times Index (SSTI). Many foreign indices saw their highs anywhere from a week or two ago or even earlier. Many made secondary highs just short of the previous all-time high and have turned down. Could this be an early warning for the U.S. indices? Friday’s low was seen at 2,605. If that level breaks it could start to confirm a high. A break under 2,550 would confirm that at least a temporary high is in. Our next target for the S&P 500 was 2658. The high this week was 2,658. If the market successfully breaks firmly above 2,658, the next target would be 2,982. Dow Theory states the market indices must confirm each other. This past week the DJT soared 5.9% and made new all-time highs, confirming the new all-time highs seen by the DJI. 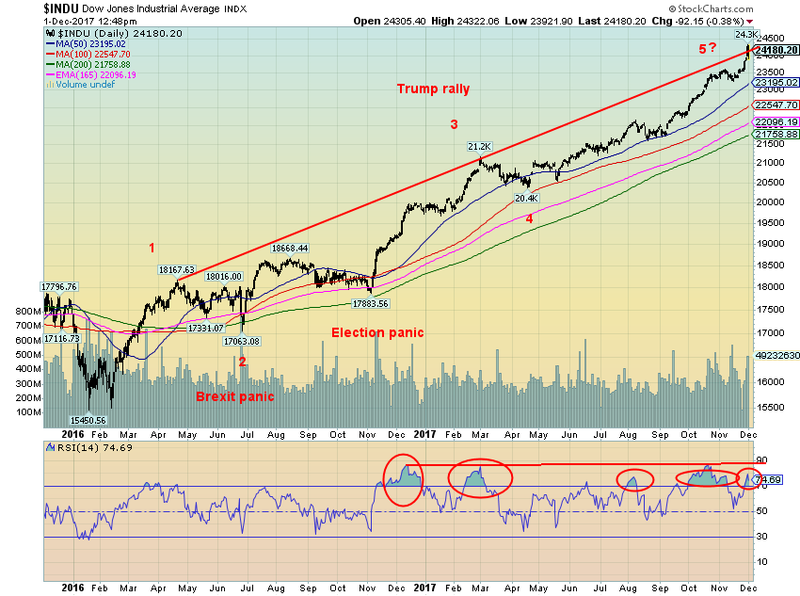 The DJT put in a remarkable spike and has quickly become overbought. At the minimum, some consolidation should follow. With the averages confirming each other, we will now have to wait for another time where they diverge. This suggests that current levels may not be the final highs and following a consolidation correction the markets could once again soar into 2018. The NASDAQ made new all-time highs at the beginning of the week, then reversed and actually closed the week down 0.6%. This was a divergence with the other markets that managed to maintain their gains for the week. 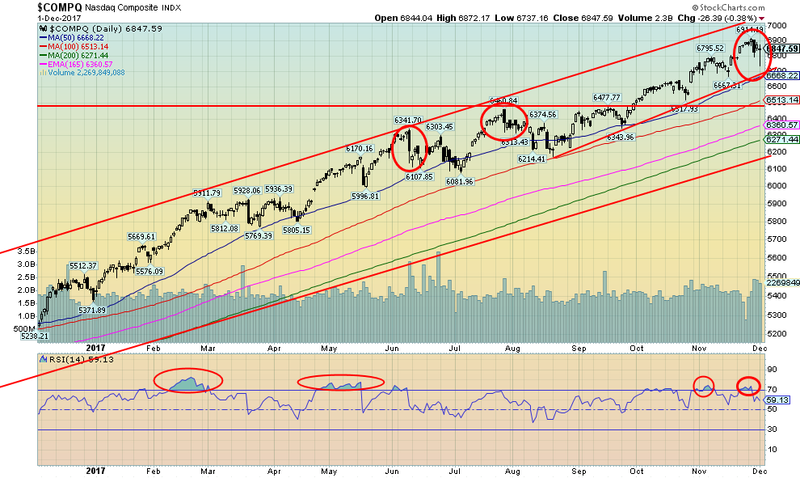 The breakdown point for the NASDAQ appears to be at the 50-day MA currently at 6,668. Major support can be seen down to 6,200. A reminder that despite the recent strong performance from the stock market indices, particularly since the bottom of the 2008 financial crisis, the best performing asset since 2000 is gold. Gold is up roughly 343% since 2000 despite a 6-year bear market. The best performing stock index has been the DJT, up 242% in the same period. Silver follows at about 200%. By contrast, the DJI is up only 111%, the S&P 500 up 80%, and NASDAQ up 68%. They still have considerable ways to go to catch gold. The KBW Bank Index (BKX) is not usually thought of in the same terms as the DJI, the DJT, the S&P 500, and the NASDAQ. Yet it is interesting to note that the KBW Bank Index has still not regained the all-time highs seen back in 2007. Such was the level of the banking crisis in 2008. The index plunged 85%. That’s DJI 1929–1932 crash levels. The index has now enjoyed an 8-year recovery. 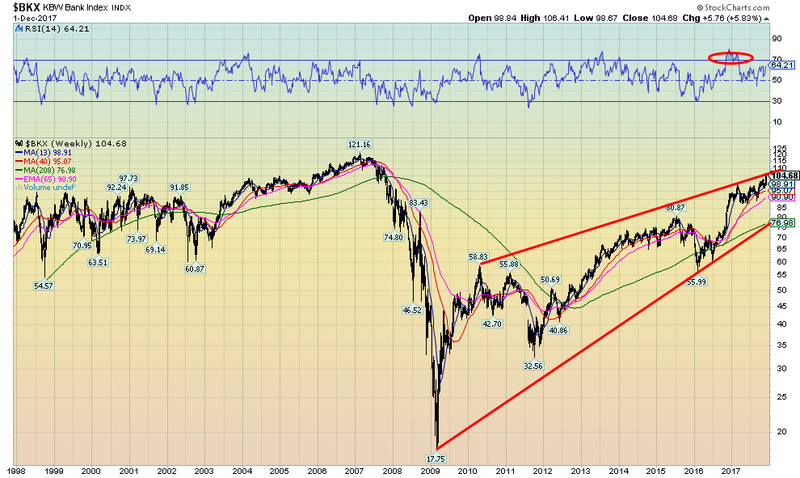 But it appears to be forming a huge ascending wedge triangle. Ascending wedge triangles are bearish. The breakdown point is around 77. Ascending wedge triangles imply a breakdown to where the rally began. Spare that thought. That’s back to 18. The weekly chart of the S&P 500 from the March 2009 low shows the slow steady rise. Two corrective periods stand out: first, the 2011 EU/Greek crisis, followed by the end of QE in 2015/2016. We have labeled those intermediate waves 2 and 4. Since February 2016 we have been in wave 5. As we surmised earlier, hitting our target of 2,658 could suggest that we have now topped. Naturally, we need confirmation. The confirmation level appears to be a breakdown under 2,400 with further confirmation under 2,300. A major bear market would be confirmed if the S&P 500 were to break down under the February 2016 low of 1,810. We can’t help but note the weekly RSI has reached an extreme level at 80.78. 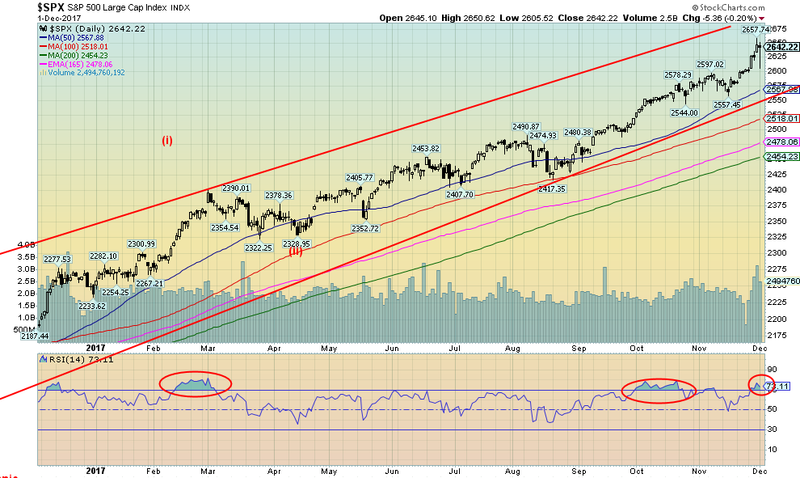 In terms of RSI’s that is nosebleed territory. Buyer beware. 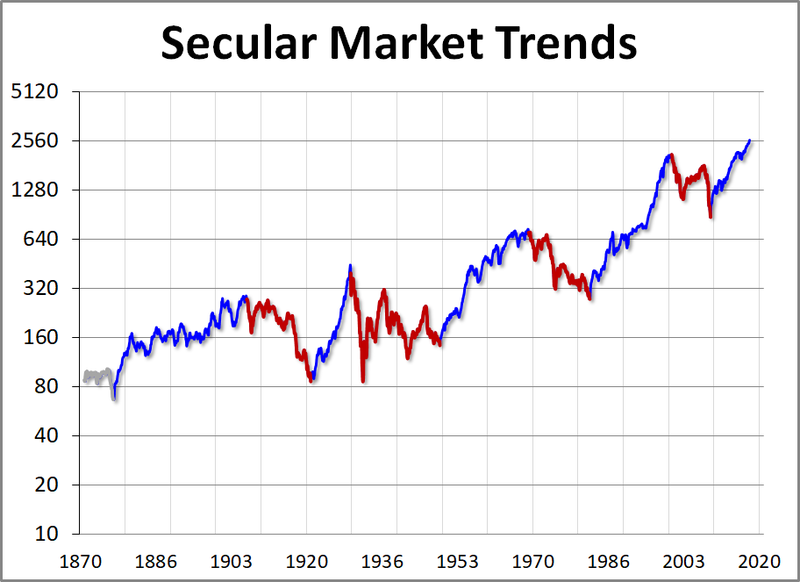 We thought this chart of secular market trends from Advisor Perspectives to be quite interesting. It shows the markets from the 1870s. The primary trend was up until about 1912 when a series of bear markets during the war years (WW1) and after defined a primary bear market. The Roaring Twenties followed with one of the most spectacular bulls ever. It all ended badly with the crash of 1929 to be followed by the Great Depression and war years (WW2). With the war years over the markets began another primary bull market that topped in the mid-1960s. A 16-year bear market followed. The great bull market of the 1980s and 1990s ended with the top in 2000 to be followed by first the high tech/dot.com collapse and the financial crisis of 2008. We are now in another primary bull market. But if you look at the charts you might note that the 2000–2009 collapse bears some startling resemblance to the 1913–1921 bear market. Like the Roaring Twenties, the current bull has been almost straight up. One would hate to think it could be followed by something like the Great Depression, but it cannot be ruled out. If it turns out to be correct, the DJI could fall back to 1970s levels. The chart above has been inflation adjusted. Just as bond prices appeared to be headed higher this past week, the breaking events of Friday with Michael Flynn sparked a bond rally. 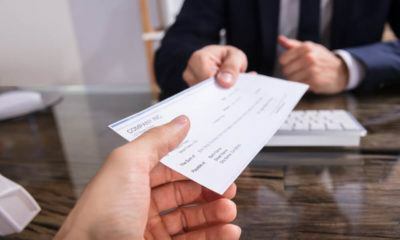 Bond traders were focused on the upcoming job numbers out this coming Friday where the nonfarm payrolls are expected to be a barnburner of 261,000 new jobs. The unemployment rate is expected to fall to 4.1%. As well, bond traders were focusing on the upcoming FOMC meetings on December 12–13 where the wide expectations are that the Fed will once again hike interest rates by ¼%. Finally, while the Senate passed the tax bill the bond market was focusing on the potential for another $1 trillion to $1.5 trillion in deficits over the next decade. With Flynn cooperating with the Mueller investigation it steadied the market and bond prices rallied (yields that move inversely to prices fell). Despite the rally, the 10-year Treasury note yield closed 3 bp higher than the previous week. 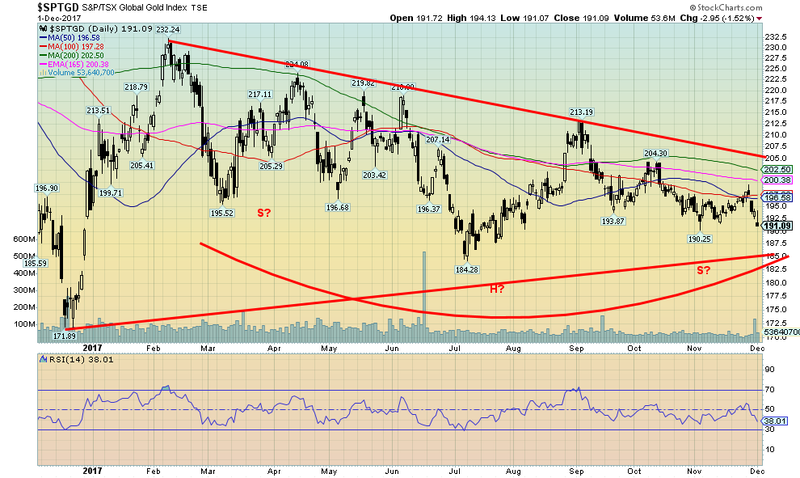 This keeps bond yields in a consolidation pattern. Overall, bond yields still appear to be higher but clearly, they need to break above 2.40% to suggest the higher yields. Support is seen down to 2.28% but a break under that level could send yields down to the bottom of the channel near 1.90%, although we doubt that scenario. The 2-year/10-year spread was unchanged this past week at 0.59%. It helped that the 10-year U.S. Treasury note yield fell this past week following the Flynn testimony. At the same time, 3- and 6-month Treasury bills are reflecting the almost universal acceptance that the Fed will hike rates at the upcoming FOMC. This continues our belief that the 2/10 spread is headed lower. The 2/10 spread was negative before the recession of 2000–2002 and 2007–2009, although negative spreads are not necessarily a prerequisite. Once again as gold prices were approaching $1,300 along comes another massive dump. This time the dump occurred on November 29 around 8 am when someone unloaded roughly 45,000 contracts (equivalent to about $6 billion) somewhat in conjunction with the better than expected GDP numbers that morning. This marks at least the third major dump in the past three weeks. All have occurred as gold prices were up around $1,295 and approaching $1,300. This highlights the resistance at $1,300 and once gold does break out above $1,300/$1,320 a strong move could get underway. Despite the dump two days later gold tried to rebound again on breaking news of Michael Flynn admitting that he lied to the FBI. Gold prices steadied with the news that the Republican tax cuts would pass the Senate. So is another dump in order once gold reaches $1,295 again? Despite all the slams, gold sentiment is still not at what we would call bearish extremes. Over the past few years, December has proved to be the nadir for gold prices. Seasonal tendencies have triggered a sharp rise in February/March. As well, the December FOMC has also proven to be a low for gold prices. The wide expectation is that the Fed will hike rates once again at the December 12/13 FOMC meeting. As we have seen in the past two years the event has proven to be a “sell the rumor” (The Fed is going to hike), “buy the news” (the Fed hiked). If for some reason or other, the Fed doesn’t hike as a few outliers expect that would electrify gold prices. What was interesting in this past week’s drop was that gold prices have held above their September/October lows near $1,262. Silver plunged through those lows, a divergence. 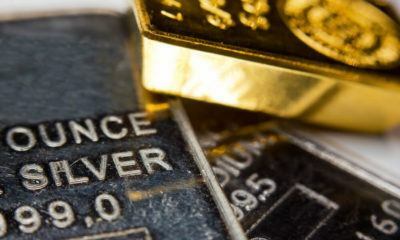 That suggests to us there is considerable support for gold down to $1,270 and $1,260. Even as the dumps have taken place gold has proven to be quite price-resilient. A firm breakout over $1,300/$1,320 could send the market soaring towards not only the $1,362 September 2017 but also the $1,377 July 2016 high. Over those levels, gold could move to $1,400 and higher. We continue to have potential targets up to at least $1,600 and higher. 2018 could prove to be an interesting year. Here is a picture of the past three days’ action showing the dump on November 29 and the rebound on December 1 following the Flynn news. 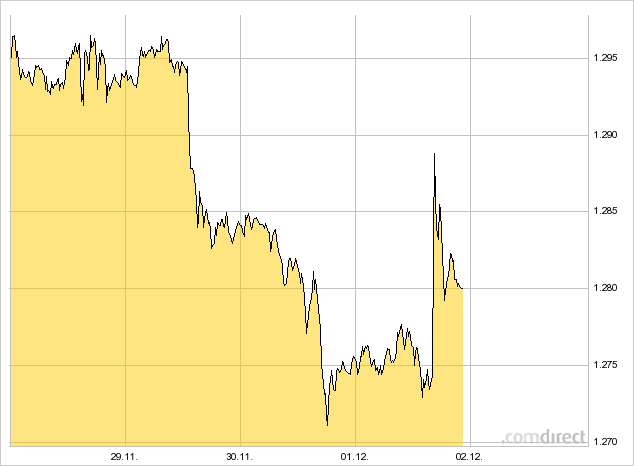 As we noted, gold prices are demonstrating considerable resilience despite the ongoing dumps. Finally, we received an update on the COT report. The commercial COT for gold fell this past week to 24% from 26%. Note the big jump in short open interest up over 13,000 contracts. Further long open interest fell about 8,000 contracts. Overall, this is not a pretty report and it suggests the commercials are still short and just got shorter. 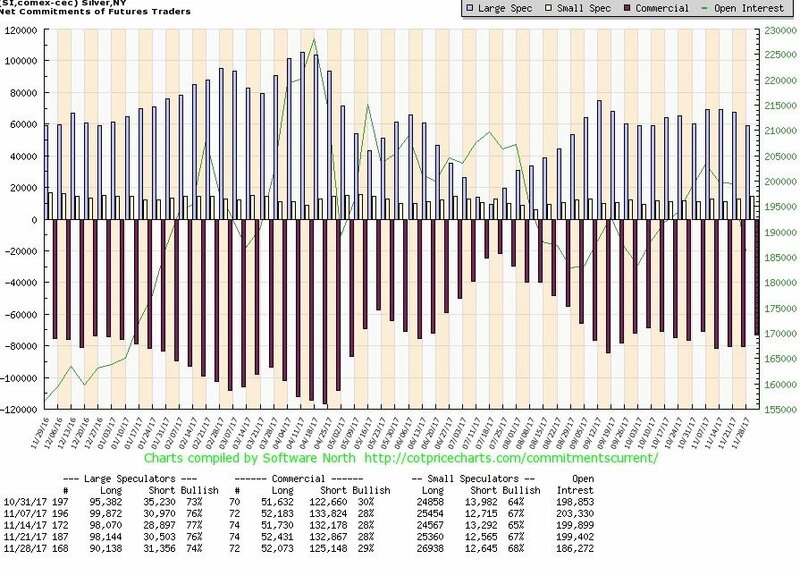 Note that the large speculators COT jumped to 82% from 79% with long open interest leaping roughly 15,000 contracts and short open interest dropping about 8,000 contracts. On paper, this is not good. But the commercials have been caught wrong in the past. 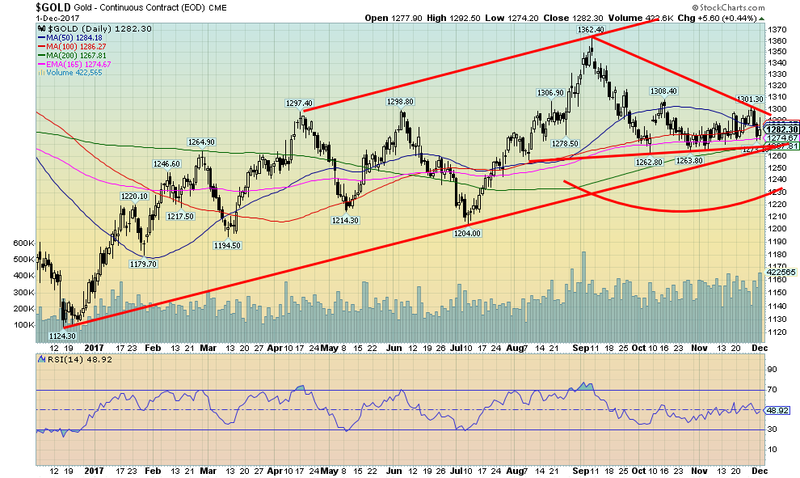 However, what this appears suggest is gold has further downside moves. Strangely, the gold commercial COT diverged with the silver commercial COT (see below) that moved in the opposite direction. Silver prices gave us the divergence we have been looking for this past week. Silver prices plunged to new lows at $16.26 below the low of October 6, 2017, at $16.34. Gold prices held a comparable level giving rise to the divergence. Naturally, if gold prices were to also break their October 6 low then the two would be in sync and lower prices could lie ahead. There is considerable support down to $16. 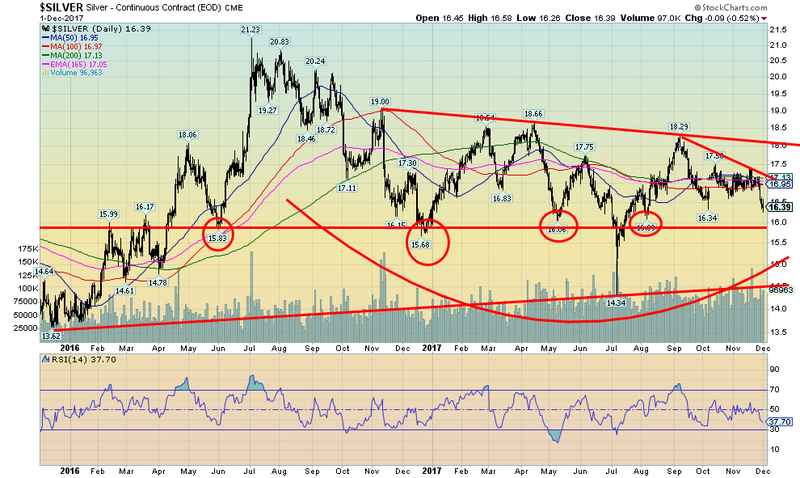 Silver needs to break out over $17 to suggest that low could be in. Silver prices could be forming a head and shoulders with the head at that $14.34 spike low back in July. The neckline appears to be at $18. A firm breakout over $18 could suggest a move to targets up to $22.65. Silver prices, in our opinion, have long been too low given dwindling silver stocks and mine supply. It is certainly not being reflected in current prices. Unlike the gold commercial COT, the silver commercial COT showed improvement this past week. This is a divergence. If we couple silver’s price divergence with the commercial COT divergence, we could be in the process of making a bottom of some significance. The commercial COT improved to 29% this past week from 28% the previous week. Short open interest fell almost 8,000 contracts. Long open interest was largely unchanged. 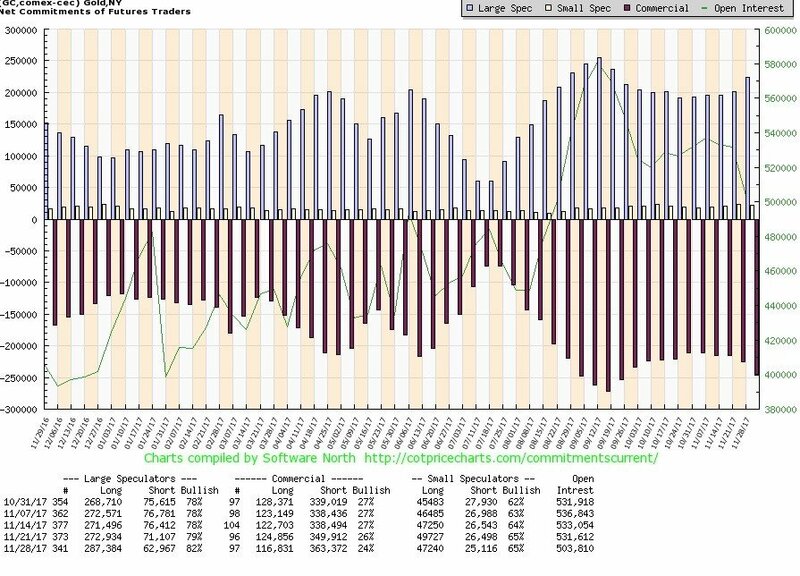 The large speculators’ COT fell to 74% from 76% as long open interest fell a sharp 8,000 contracts. Short open interest rose about 1,000 contracts. The set-up appears to be positive for silver and by extension, it should be positive for gold too. While we are encouraged by what appears to be a growing head and shoulders bottom pattern for the TSX Gold Index (TGD) the gold stocks remain frustrating. With this past week’s pullback in gold and silver prices, the TGD fell once again and is threatening the 190-support zone. Friday’s action left what appears to be a dead man’s doji on the chart. A dead man’s doji is a Japanese candlestick pattern whereby the market opens makes a low (which could be the low), moves to a high, then reverses and closes back down near the open and low of the day. 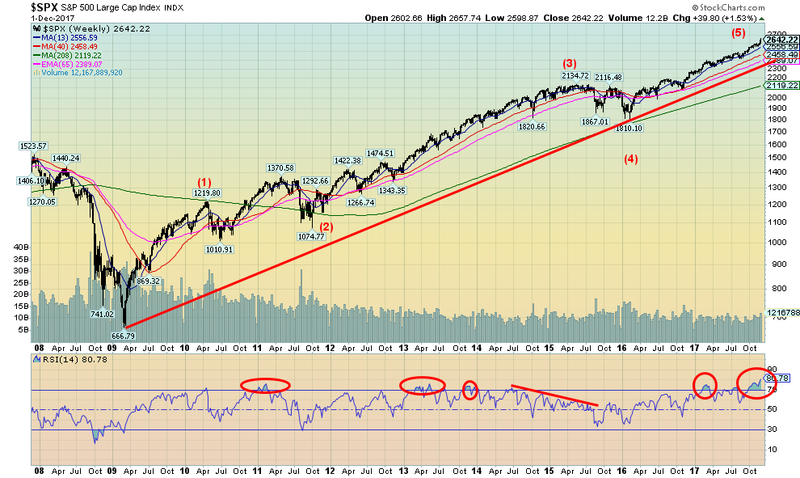 The doji is often a signal that the current trend, which is down, is coming to an end. What is needed is follow-through this coming week. Irrespective of this, there appears to be strong support down to 185. If the head and shoulders pattern is correct the neckline is currently near 205. The pattern would have a potential target zone of 253 if confirmed. 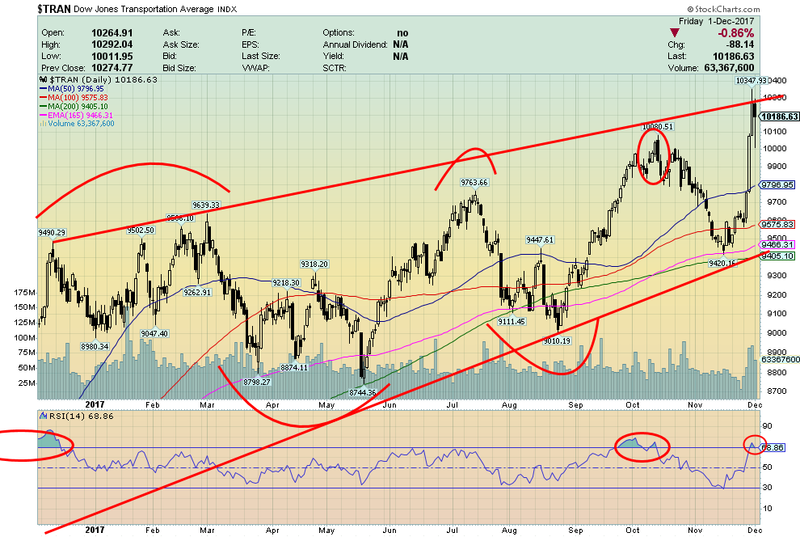 The sentiment is quite bearish but not at levels we would call extreme. 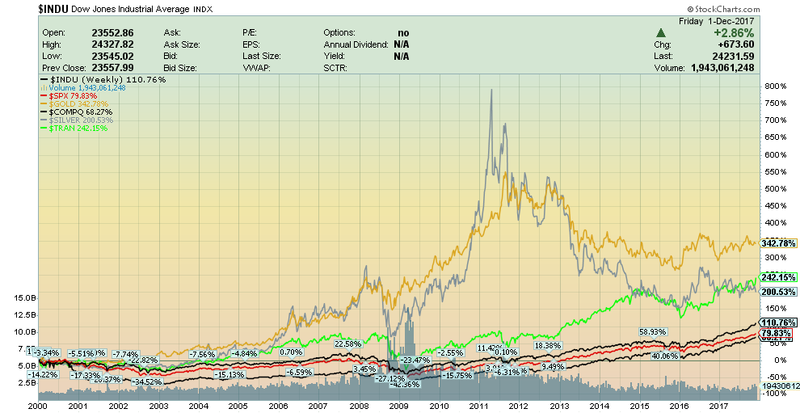 As we believe with both gold and silver a bottom could be in formation. WTI oil prices rebounded on Friday following news that Israeli warplanes hit an alleged Iranian military installation near Damascus. Israel has long warned that Iran has been trying to establish a permanent military base in Syria. The fear, of course, is a war between Israel and Iran that could inflame the entire Mid-East. In turn, that could have a negative impact on oil prices. Throughout the early part of 2017 WTI oil prices formed what appeared to be large head and shoulders bottom pattern. 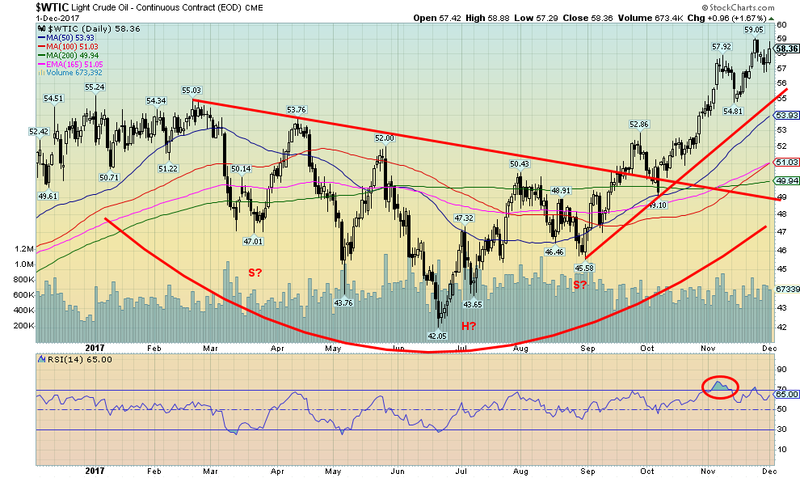 Oil prices broke through the neckline of the H&S pattern in September with potential targets of $63.50/$64. 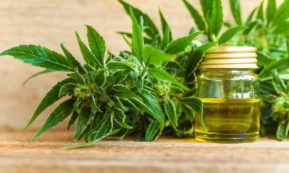 Oil prices hit a high of $59.05 a week earlier and the pullback appeared to be just another correction within the context of a rising bull market. We continue to hold to those levels as a minimum but if those prices were to fall, our next targets could be up $71. An outbreak of any serious war in the Mid-East could send oil prices soaring well past even those levels. However, the risk is real given ongoing pushes from both Saudi Arabia and Israel and their desire to take down Iran. Any serious attack on Iran, however, would bring in other parties, inflaming the entire region and possibly even more. In the past, sharply rising oil prices have eventually translated into a recessionary period in the Western economies.